Four Aces Appear At Your Fingertips! 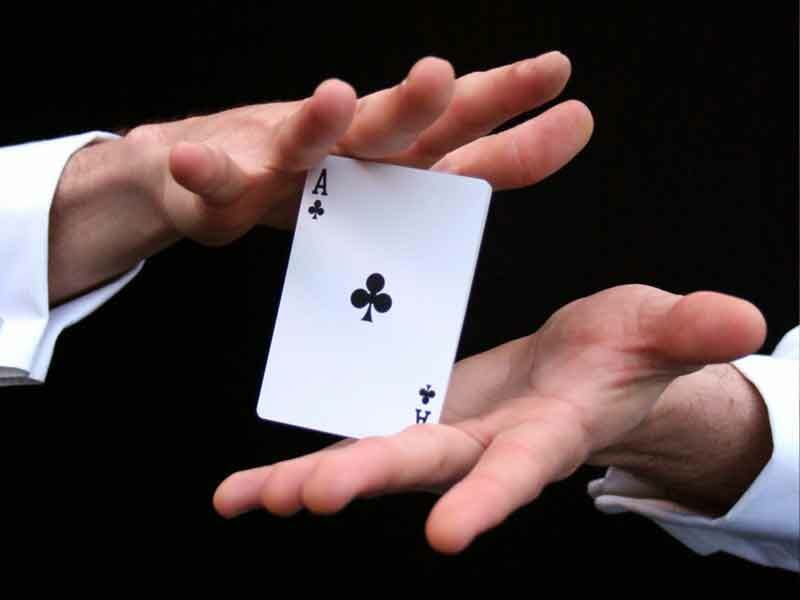 Picture bringing your hands together, in front of you, and an ace magically appears between them. 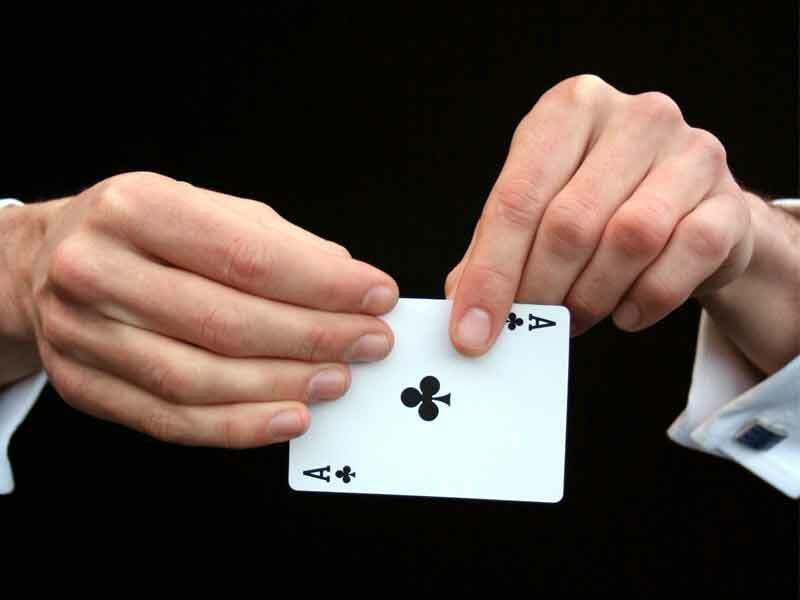 Without hesitation, you take this newly produced card, and effortlessly split it into two aces. The third and fourth ace materialize right out of thin air - at your fingertips. Produce The Aces From Thin Air! No gimmicks or trickery; just well composed sleight of hand. Split One Ace Into Two! There's no cooler way to produce aces! Learn To Make All Four Aces Appear At Your Fingertips. Elegant and powerful card magic! There are no gimmicks or trickery; just well composed sleight of hand. To explain Thunderbird in the most succinct way possible, it has been broken down into five easy steps. 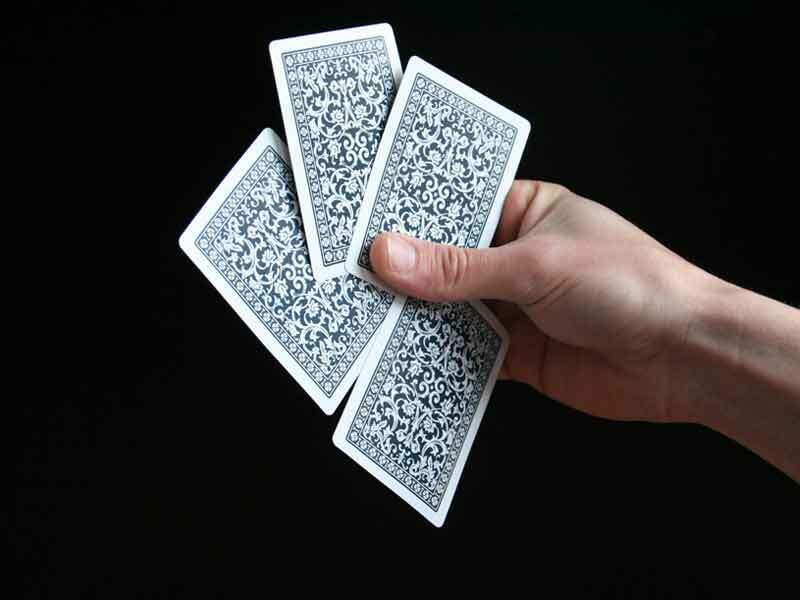 Even with a limited knowledge of sleight of hand, by simply following these instructions, you will grasp the basic technique of this routine with a small amount of practice. Over 20+ pages of instructions & photos are provided to help you learn Thunderbird with ease. You're even taught small insights which have come from years of using Thunderbird in all types of working environments. Even though this is a technically challenging routine, and it's not for the faint of heart, this tutorial teaches you exactly what to do (and what NOT to do in some cases) to make this routine look amazing in your hands. As a bonus, an explanation video is provided for you as a learning tool. The explanation, shown from the performer's point of view, will help you learn Thunderbird successfully. If you're looking to learn the coolest four ace production that will fool your friends & family, then look no further. Thunderbird the modern ace production is right for you. Purchase your copy today or still have questions? Just Ask.  Instantly Download ⚡ Direct To Your Email Inbox!